Our programs are designed to support the Massachusetts Science and Technology/Engineering Curriculum Frameworks. They can be adapted to meet your specific needs and modified to be grade or age appropriate. Other programs may also be adapted for your site or town conservation lands. Use these descriptions as a starting point for your program reservations. Nature Programs are 1.0 – 2.0 hours long and can be adapted to fit your needs. All programs are led by naturalists and may include hands-on presentations, a guided exploration walk on our trails and time in the EcoZone, our living habitat museum focused on the ecosystems of southeastern Massachusetts. Programs are designed to be age appropriate. Walk on our trails at any time of year to explore the diversity of animals and plants and their habitats. Each season brings a different perspective so that you can learn how living things adapt as their environment changes. Discover what plants and animals live in and around Jacobs Pond by exploring the water and shore with nets, magnifiers and field guides. Back at the Science Center use microscopes to further examine collected samples and find out how pond animals depend on their environment and each other to survive. Discover what your backyard plants need to survive. Learn about plant life cycles, seasonal changes and photosynthesis. Discover how seeds travel near and far. Examine flowers, seeds, fruit, stems, roots, and leaves using hand lenses and microscopes. Discover the differences and similarities between these two groups and how these ectothermic creatures are adapted to live in different habitats. Take an exploration walk on our trails and visit our EcoZone living habitat museum to meet some local species of turtles, snakes, frogs, toads and salamanders and learn about their life cycles. Learn about magnificent predators, their unique adaptations and their importance in the food chain. An optional activity may include dissecting an owl pellet to discover what owls eat. 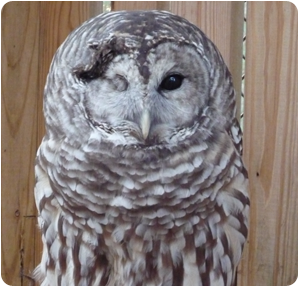 There is an additional $2.00 fee per student for owl pellets. The banks of the North River were home to Native Americans for thousands of years. Observe archeological artifacts from our collections and learn about the history and culture of our local native peoples who traveled and settled along the river. Available year round. If it’s spring, hopefully the sap is flowing! We will take a hike to several different maple trees on our trails, learn how a tree is tapped, and watch the sap flow. We will explore the history and process of maple sugaring and even enjoy some sweet rewards! *Offered late winter to early spring. Contact Us for availability.